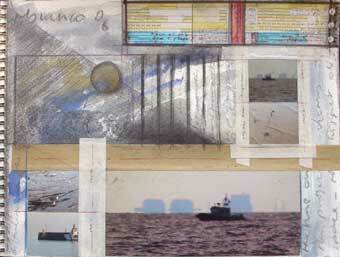 Tide and time are conceptual measures for flux and geopolitical change. 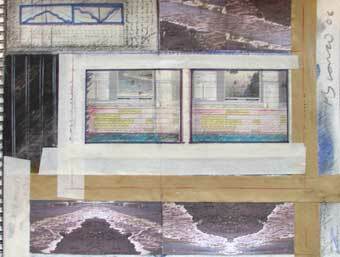 In this context, the "dialogue" between land and sea connects different philosophical dimensions: a scientific and spiritual dimension, wherein the edges of land shift with the vertical and horizontal pull of water at the behest of the moon and earth's own axis and gravity; and other socio-political dimensions, wherein the realities concerning the compulsion of human hold determine the way we border, defend and "regimentalise" space. 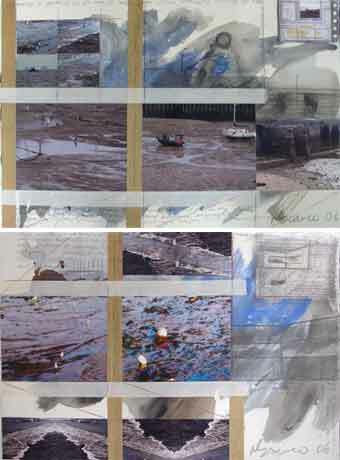 This research remains open and seeks to integrate various semiologies and signages which, beyond their politics, explore the edges of drawing where linearity maps out into motion - as in the diagramatic timeline of a video ediiting programme, a shifting shoreline (see sealand), and other migratory lines.. be they the trail of a plane, of a ship, of fleeing émigrés (see zoni).. or indeed, the immaginary strategic line of a satellite gaze..
sealand and zoni are installation works created as part of this artistic research. 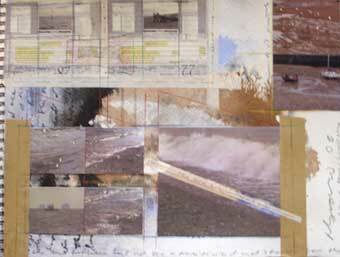 A project exploring the dialogue between land and sea. The divisions between sea and land territories are quite different in terms of substance, movement and ownership - these are politically often in stark contrast to each other, particularly when you think of war ships entering uncharted waters or fishing rights being abused...for the sea has no visible barriers. The constant tidal changes create an ongoing unstable division constructing a language between terra firma and terra in-firma. This reflects on the compulsion and politics of occupation. TIDAL DIALOGUES develops as a trajectory from research-led fine art practice interrogating issues of territory and transboundary movement. 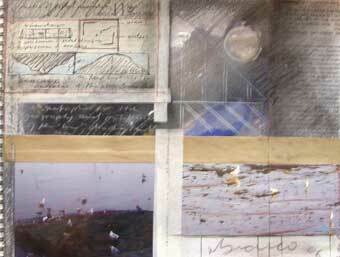 This current project brings together various aspects of the geo-spatial - questioning the processes shaping space. 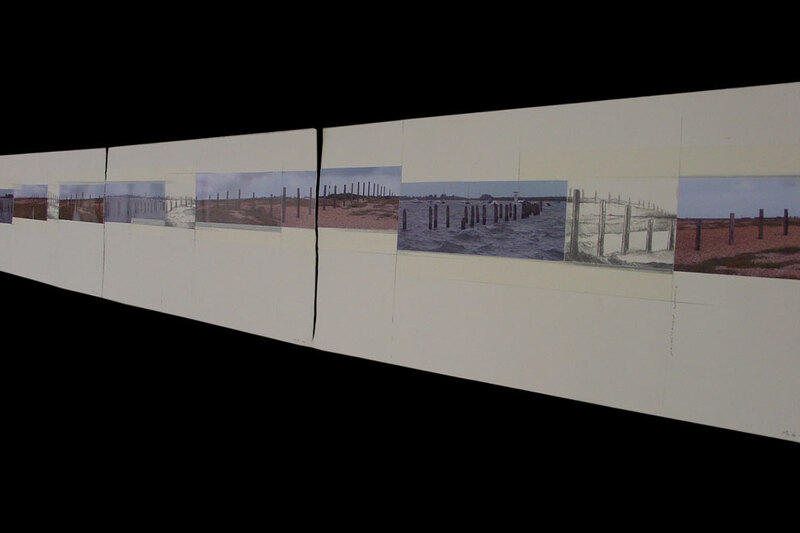 Concepts stem from the politicisation and geography of the "line" between land and sea, examining the space where these two great archaeologies meet and remake each other as a metaphor to question notions of ownership and the remapping of land. Here I am, before the sea. It is true it bears no message. But on the beach, what material for semiology..